This chapter describes how one of the challenging issues of clinical diagnosis is distinguishing between the cognitive deficits manifested in normal aging, depression, mild cognitive impairment (MCI) and dementia. The diagnostic challenge is that there is a great deal of overlap in the symptom constellations of these conditions. It is thus important to establish conceptual and clinical criteria with sufficient predictive validity to accurately identify differences and similarities in cognitive states to justify initiation of appropriate treatments. The world population continues to grow older rapidly as fertility rates have fallen to very low levels in most world regions and people tend to live longer. When the global population reached 7 billion in 2012, 8% were aged 65 and over. In 2015, 3 years later, the older population rose by 55 million and the proportion of the older population reached 8.5 percent of the total population (He, Goodkind & Kowal, 2016). Old age makes one susceptible to a gamut of diseases and disorders. While some of them affect the physical functioning, others affect mood and cognitive functioning, casting a serious impact on quality of life, daily functioning and independence. Changes in cognition with aging are not universal and there is considerable variability. With increase in age, decline in cognitive ability becomes more and more pronounced. Age related decline of abilities of memory, attention and executive function have been most widely investigated. More pronounced deficits in these and other cognitive domains have been reported in mild cognitive impairment, depression and dementia. However, there is a great deal of overlap in the symptoms of the stated conditions, making it difficult to differentiate between them (see Table 1). Further, these cognitive abilities (especially executive functioning) are directly related to independence of performing activities of daily living. Thus, reiterating the need to maintain proficiency of the same. However, literature has revealed impairment in the same, thus pointing to dependence on others. However, a common misconception is that loss of abilities like memory, attention, and other mental facilities that help us to think clearly and maintain social relationships, decline inevitably, and become untreatable as we age. Increasing number of studies suggest that the brain is malleable even in later life (Kueider & Rebok, 2014). 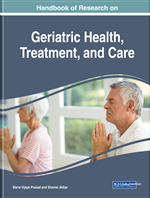 Thus, the authors propose to write a chapter on the similarities and differences in cognitive functioning of the geriatric population with respect to normal aging, mild cognitive impairment, depression, and dementia. A clear distinction between these is pivotal not only in terms of creating awareness but also from the perspective of diagnosis and rehabilitation. Executive Function: Executive functions are a set of cognitive processes that are necessary for the cognitive control of behavior: selecting and successfully monitoring behaviors that facilitate the attainment of chosen goals. Executive functions include basic cognitive processes such as attentional control, cognitive inhibition, inhibitory control, working memory, and cognitive flexibility. Higher order executive functions require the simultaneous use of multiple basic executive functions and include planning and fluid intelligence. Visuospatial Ability: It is the capacity to identify visual and spatial relationships among objects. Visuospatial ability is measured in terms of the ability to imagine objects, to make global shapes by locating small components. Attention: It is the concentration of awareness on some phenomenon to the exclusion of other stimuli in the environment. Delirium: It is a state of severe confusion and rapid changes in brain function. However, it is differentiated from Dementia by acute onset, fluctuating course and impaired consciousness. Language: Language is a formal system of communication which involves the combination of words and/or symbols, whether written or spoken, as well as some rules that govern them. Memory: Memory is the faculty of the mind by which information is encoded, stored and retrieved. Pseudo-Dementia: It is defined as cognitive impairment that mimics dementia however diminishes upon remission of depression. Further, it is marked by detailed account of cognitive impairment, subjective memory loss and frequent “don’t know” answers. Processing Speed: It is the speed with which various cognitive activities are performed. Cognition: Cognition is a term referring to the mental processes involved in gaining knowledge and comprehension. These processes include thinking, knowing, remembering, judging and problem-solving.